I adore Cookie and Kate and after years of reading the blog I purchased the cookbook this fall. 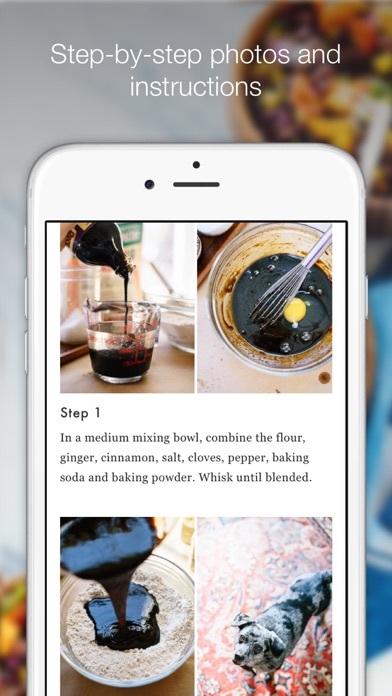 I recently purchased the app only to find that not all the recipes are on here. I feel like that defeats the point. Still have much love for C & K but won’t recommend the app. 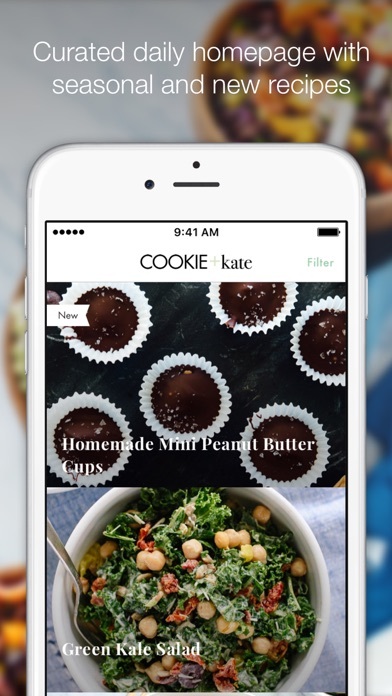 I love Kate’s recipes, but since downloading the app a few days ago I’ve had issues with the app crashing on the loading screen after trying to search or click on a recipe. It makes the app almost impossible to browse through. Very disappointing for something I paid $5 for, especially since the recipe availability is far more limited than what’s online. This app will crash your music apps. Who doesn’t like to listen to music when they’re cooking? In addition the recipes are mediocre at best. What a waste of five bucks. 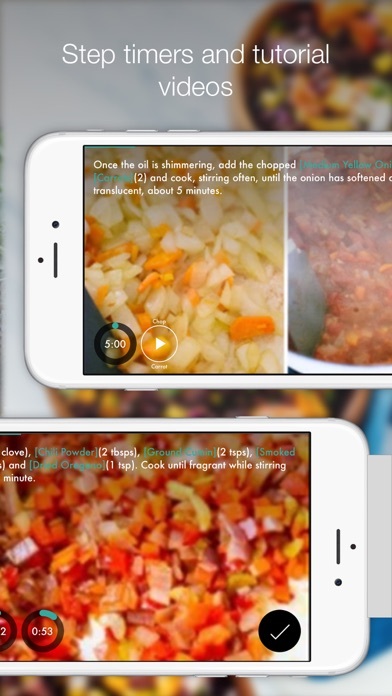 Kate has gone to great lengths to provide us with an easy app to follow for healthy recipes that are outstanding! 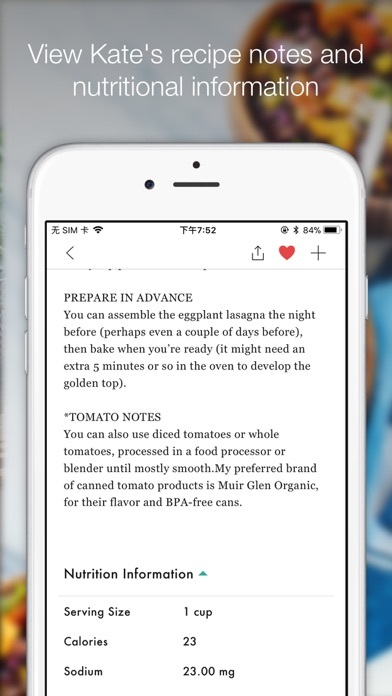 I wish the app had a place to record notes about the recipe. Whether it’s modifying ingredients or how it tasted or turned out. I would like to take notes. Is this a possibility? Paid for the app, searched using “avocado dip” and nothing appropriate came up. Had to go to website to search same thing for what I was looking for. Tried searching app for tomato sauce and first result was for apple sauce??? Searching on the website was bad enough, searching in the app is just ridiculous! Waste of money. Just deal with the website for recipes you know and love. I was able to use the app for a couple of months without problem. Then, after an update, it started crashing my device. It still updates the recipes, but every time I open the app now, I get a log in screen, and no matter whether I try to log in or skip the screen, boom, there it goes. So far, I have not been able to get any actual tech help with this issue, but it's certainly starting to make me cranky. After all, the app was not free. I love cookie and Kate and have all my mom friends using it too! It’s the hot topic of what recipes we have tried out- and I would recommend it to anyone interested in energizing their kitchen! 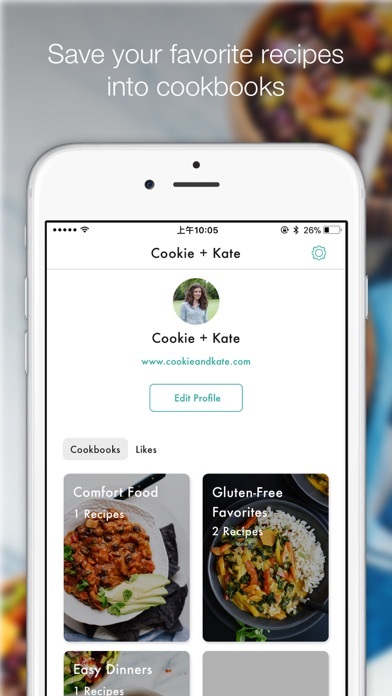 Unfortunately only 100 of her recipes are in the app, so if you have favorites outside of that 100 your out of luck. I'll adjust my review and rating when they expand the recipes. Other than that the features are great for what's here.